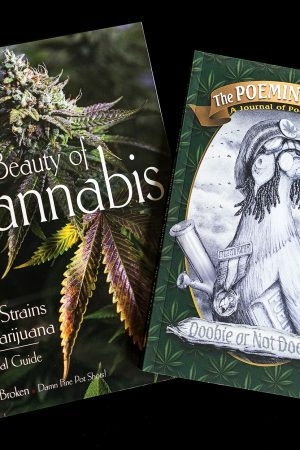 The perfect gift for all your cannabis-loving friends. 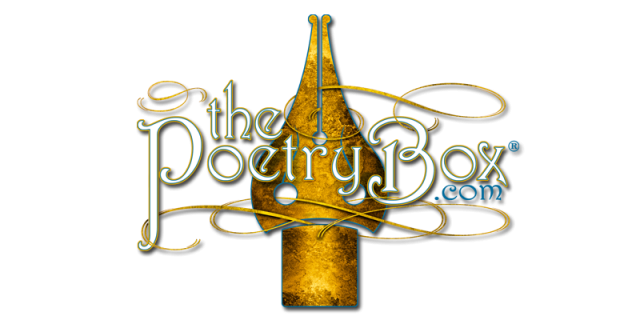 Created for the Cannabis Connoisseur. 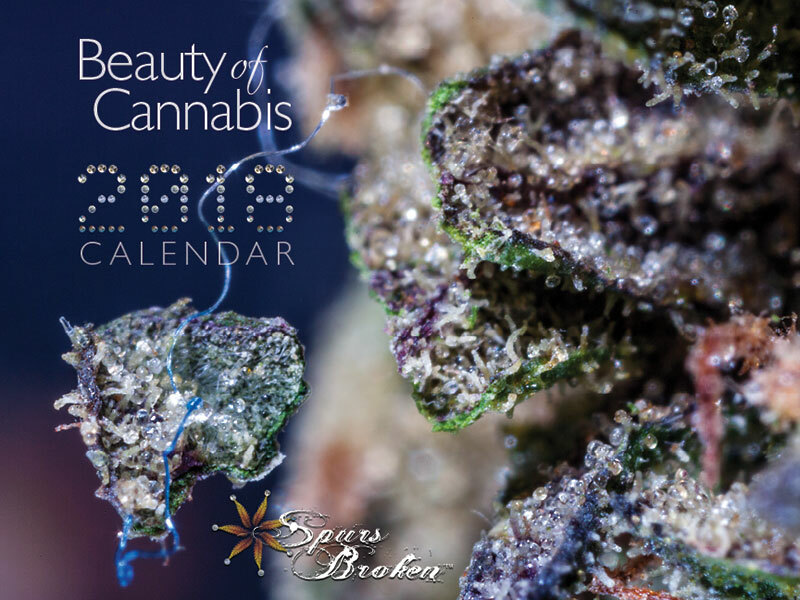 Take a trip through the trichomes via the magical, macro-photography of Spurs Broken (a.k.a. Robert R. Sanders.) 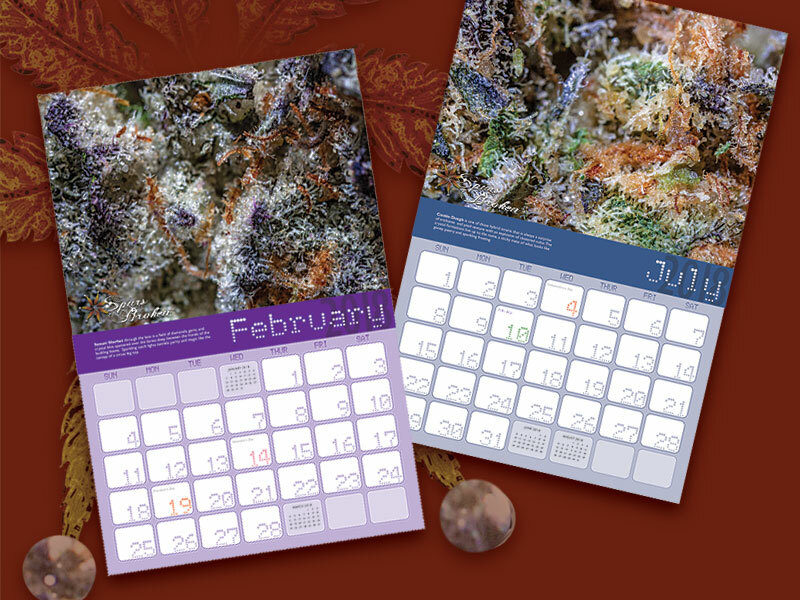 Enjoy 12 months of spectacular strains revealed in all their colorful, mystical glory. 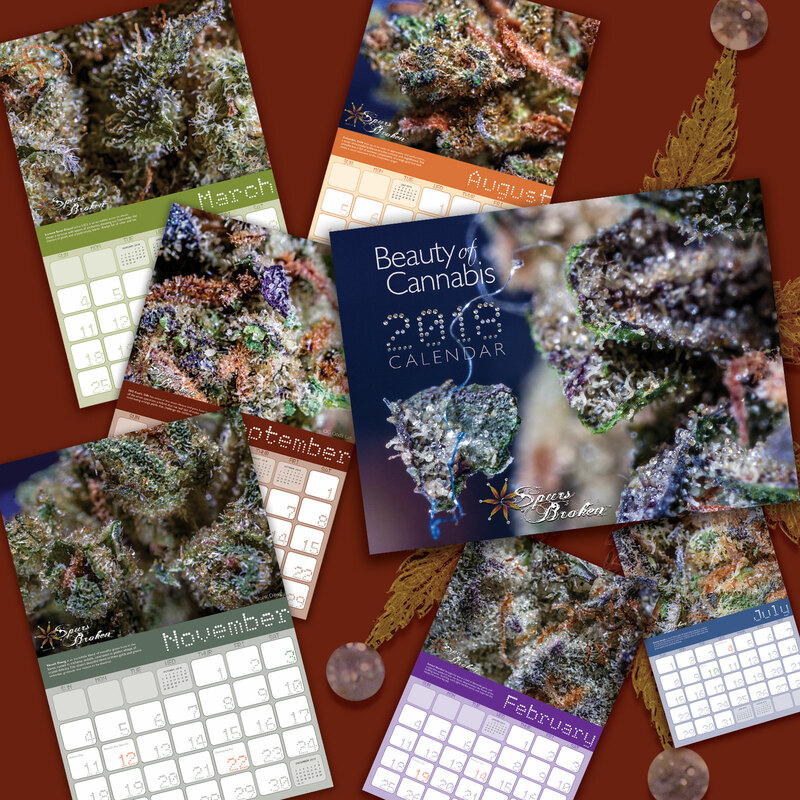 These Oregon-grown plants from some of the region’s top growers were so ready for their close-up you can practically see their pistils grinning.